Kimura Heitaro was born in Tokyo and graduated from the Japanese military academy as an artillery officer in 1908. He served with the Siberian Expedition in 1918-1919. He was military attaché in Germany and a delegate to the London treaty conference. Following promotion to major general in 1936, he became the chief of the Ordnance Bureau. He was promoted to lieutenant general in 1938 and took command of 32 Division, then served as chief of staff of Kwantung Army. He was vice minister of war under Tojo at the start of the war. Kimura assumed command of Burma Area Army in August 1944, after the disastrous Imphal offensive. His strategy, which was to counterattack when the Allied supply lines were stretched to their limits, failed to take into account the enormous Allied air transport capability. However, Slim considered Kimura's tactics less inflexible and predictable than those of his predecessor at Burma Area Army, Kawabe Masakazu, and Allen (1984) credits him with "shrewdness, strategical skill and flexibility". In spite of his failure to hold Burma, Kimura was promoted to full general in 1945. 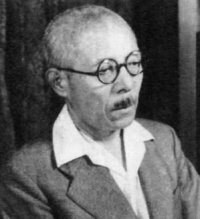 Kimura was tried and hanged as a war criminal in 1948. The most infamous charges against him related to the brutal treatment of prisoners of war and civilian pressed laborers under his command while working on the Burma-Siam railroad.